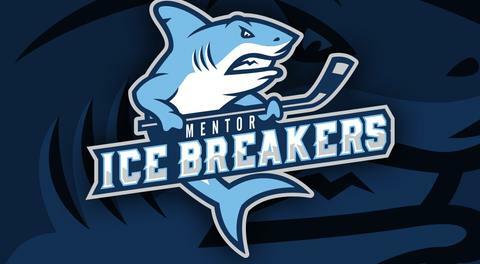 Elmira, NY – The Mentor Ice Breakers have picked up four of six possible points through their first two games of a three-in-three weekend series in Elmira. The series will wrap up tomorrow afternoon at Mentor Civic Ice Arena as the Ice Breakers Salute Our Military. Fans who present a valid military ID at the box office prior to the game will receive a $5 general admission or bleacher reserved ticket. 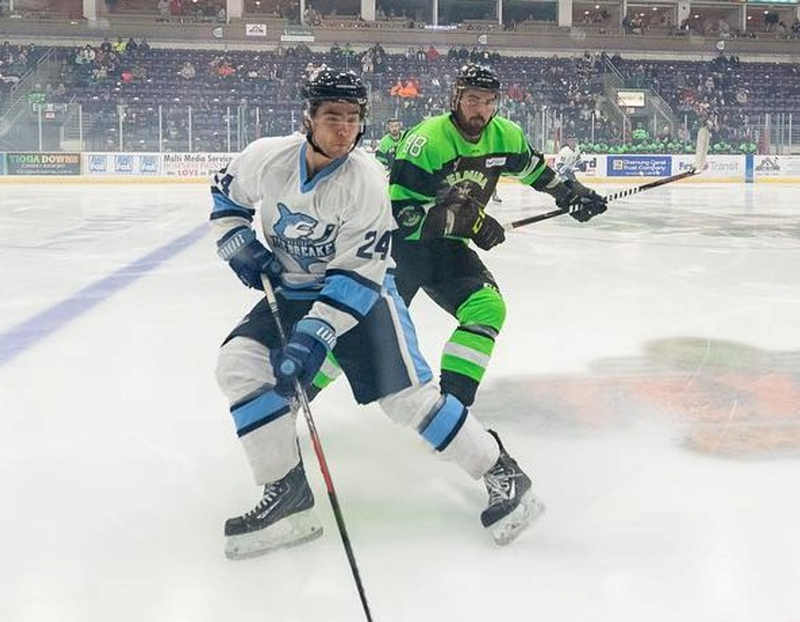 It took most of the regular season, but the Ice Breakers finally logged their first win over the Enforcers on Friday night on the back of a two-goal rally by Kent State University product Jon Buttitta. The win moved the Ice Breakers to 15-33-1-4, four points back of the fifth-place Danville Dashers as they look to avoid a last place finish. Elmira struck first when Sean Reynolds scored at 12:27 off assists from Brandon Vuic and Glen Patterson, but the Ice Breakers proved they came to play under three minutes later when Parker Moskal finished a feed from Tommy Mahoney. Moskal’s goal came in his first game against his former team as the San Diego, California native was traded to the Ice Breakers by the Enforcers near the end of February. Mentor took its first lead of the night when Joe Ftoma netted his second goal in as many games via assists from Patrick Porkka and Mark Essery. Through his first 36 appearances, Ftoma had yet to find the back of the net. His second-period goal gave the Ice Breakers a 2-1 advantage and gave him two goals in as many games. The Enforcers tied things up at 6:23 of the final period when Marko Novosel netted a shorthanded tally. Elmira retook the lead at 14:19 off an Anton Lennartsson power-play goal and looked to be in control with the clock ticking down. Buttitta came up big in just his third pro game with a pair of goals over the final five minutes of regulation, including a power-play goal at 15:41, that propelled the Ice Breakers to a 4-3 victory. Moskal finished with a goal and an assist while Ice Breakers leading scorer Mark Essery dished out two helpers. Between the pipes, Derek Moser moved to 10-16-3 with a 26-save effort, continuing his strong play after stopping 39 of 42 shots against the Port Huron Prowlers last Sunday. Mentor out-shot Elmira 40-29 and converted on one of its four power play chances while going a perfect 5-for-5 on the penalty kill. 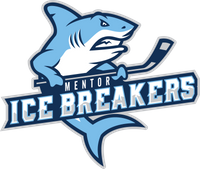 The Ice Breakers put together another solid performance on Saturday, but untimely penalties proved to be their downfall as the Enforcers claimed a 4-3 win via shootout. With the loss, Mentor picked up an additional point in the FHL standings. Elmira jumped out to a 1-0 lead right before the first intermission when Vuic scored with only two seconds left in the opening frame off assists from Nathan Pelligra and Cameron Yarwood. Pelligra made it a 2-0 game at 6:49 of the second period, seemingly putting the Enforcers in control on their fan appreciation night. A pair of goals by the Ice Breakers over the final five minutes of the second period tied things up at the second intermission. Nate Farrington finished a beautiful passing play at 15:26 on the power play before Mahoney fired a rocket of a wrist shot from the blue line with nine seconds left in the frame that beat Enforcers netminder Nick Niedert high on the blocker side. Mahoney’s goal was unassisted while helpers were credited to Buttitta and Essery on Farrington’s tally. The Ice Breakers took their first lead of the night when Porkka was left open in front of the Enforcers net and capitalized with a backhanded goal. Moskal and Matt Kadolph both logged assists on the goal, which was Porkka’s 14th of the season. After killing off two full minutes of a 5-on-3 penalty kill, the Ice Breakers looked to be headed to their second straight win over Elmira. But Mentor was unable to kill off Alex Morrow’s interference penalty at 13:57 as Gavin Yates tied things up at 3-3 with Yarwood and Reynolds earning assists. Neither team scored over the final minutes of regulation, meaning the two clubs would play their second overtime period against one another this season. Both teams generated quality chances in the extra frame, including a breakaway opportunity for Essery, but no one was able to find twine. The Ice Breakers penalty kill unit came up big when Farrington was called for tripping at 1:29 of overtime, setting up the first shootout in Ice Breakers franchise history. Elmira’s Niedert opened the shootout with save on Essery before Moser answered by stonewalling Yates. Porkka failed to convert in the second round before Anton Lennartsson gave Elmira a 1-0 lead on a wrist shot to Moser’s glove side. The third round opened with an unsuccessful attempt by Moskal before Reynolds beat Moser on a backhander to give the Enforcers a 2-0 advantage and put the pressure on the Ice Breakers. Farrington was selected as Mentor’s fourth shooter and came up empty, giving the Enforcers a 2-0 win in the shootout and a 4-3 victory in the game. Moser put together another solid effort by stopping 35 of 38 shots but fell to 10-16-4 on the campaign. Niedert improved to 5-1-0 after holding the Ice Breakers scoreless in the shootout. Elmira out-shot Mentor 38-28, and the Ice Breakers went 1-for-2 on the power play while holding the Enforcers to 1-for-8 on the man advantage.